& questions you may find a bit too awkward to ask us! It's okay... we totally understand. How do you keep my guests of all ages happy and entice them onto the dance-floor? Variety! That's the secret and also, experience! Experience has taught us which songs not only work beautifully at packing dance floors but which ones excite audiences of all ages. We have a huge variety of music in our set and have hundreds of songs. We've developed a knack of knowing which songs to play and more importantly when to play them, which is so important to get right. Do you have a sample set-list we can see? We don't stick to rigid set lists because no two weddings or parties are ever the same and so we begin with a blank canvas and read the room as we go. We chat to you before hand to be guided by the kind of songs you love and ask you to give us any of your favourites from our repertoire to make sure we play them for you. Thanks to our experience and performance ability, we're able to go with the flow which we've found makes for the best atmosphere! We encourage you to give us a list of your favourite songs from our huge repertoire to make sure we include them on the night for you! We shorten and join up some of the songs in our set so that we can pack in as much variety as possible. This means we're not able to ask you to provide a play list that's set out in order for us to deliver but we are able to ask you for your favourite songs, so that we can make sure we include them for you. How much does it cost to hire Cupids Wish? Please may we direct you to our packages page where we have published our prices so that all our couples know they're paying the same great fee, for the same great service! What happens if you are unwell on my wedding day? The only thing that would stop us being there for you would be a debilitating illness or a very close family bereavement. Can you learn new songs for us? This is one of those questions where we wish we could say yes but regrettably, it's not that straight forward. The thing is, it takes us days and sometimes weeks to learn and nail a song and get it to the high standard it needs to be for us to put it into our sets, which means we can't say the big yes we'd like to! But... we do offer to learn your first dance and play a beautiful acoustic version of it when you book the Diamond Package! If there are any songs that you love that we don't perform live, please let us know what they are and we'll happily play them for you during our free DJ service. Can we see your wedding band play before we book? We really wish we could say yes to this question but as a dedicated wedding band, we only play at weddings and other private events which means it's not possible to invite people along and we’re so sorry about this. Almost all of our bookings come from people who have seen us play at weddings or by the generosity of word of mouth so to hopefully reassure you, please may we invite you to read our review page to see what others have kindly said about us. We also share videos of us playing live at weddings instead of in recording studios so that you get a real feel for what we do. Will you still come if there are bad weather conditions? You can bet your swanky shoes that we'll do everything we can to get to you through rain, storms, fog and snow - throw them all at us in fact because I'm sure we've battled them already! As with so many other things, the key is to prepare, prepare, prepare! We'll at least triple our journey time in adverse weather conditions to give us the very best chance of getting to you. What happens if there's a road traffic accident, delays or your car breaks down on your way to our wedding? Although this isn't something that's ever made us arrive late in the 10 years we've been playing, we have heard of other suppliers encountering these unfortunate events. We can't promise that this won't happen to us because some things are out of our hands but please know that just as with how we deal with adverse weather conditions, preparation and organisation is of the utmost priority for us. We keep our transport in tip top condition and we never take on two events on the same date. We'll only devote ourselves to one couple per day so that we never have to push our luck of getting from 'A' to 'B'. How do I know you won't let me down or take a better offer? More than once, we've been offered double our fee and other offers to cancel existing bookings to play at another wedding but there's absolutely no way we would ever do that! Once we commit to you, that's it! It's more than our reputation is worth but more than that, we're just not the kind of people who'd do something like that. Unless we have extreme mitigating circumstances, we'll be there for you! I (Georgia) have a wedding blog where I share lots of tips and advice to couples getting married and who are thinking about the music. You may find useful answers to things you may not even have thought of so, please may I welcome you to pop over to my blog and have a little browse! Whatever questions you want to ask, no matter how small or silly you think they may be, I assure you that they're not at all, and Michael and I are always here to help! 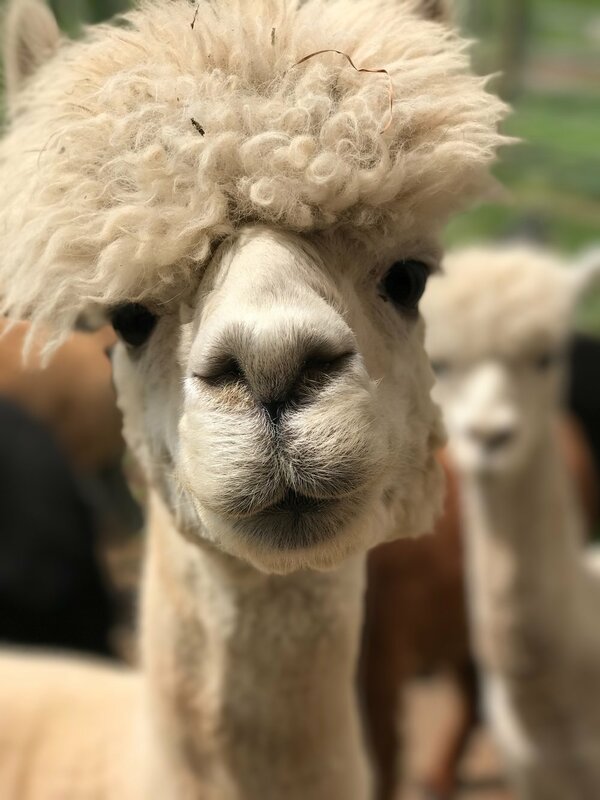 We endeavour to make everything as easy going as possible because we only want you to worry about the lovely stuff and having a fabulous fluffy time!